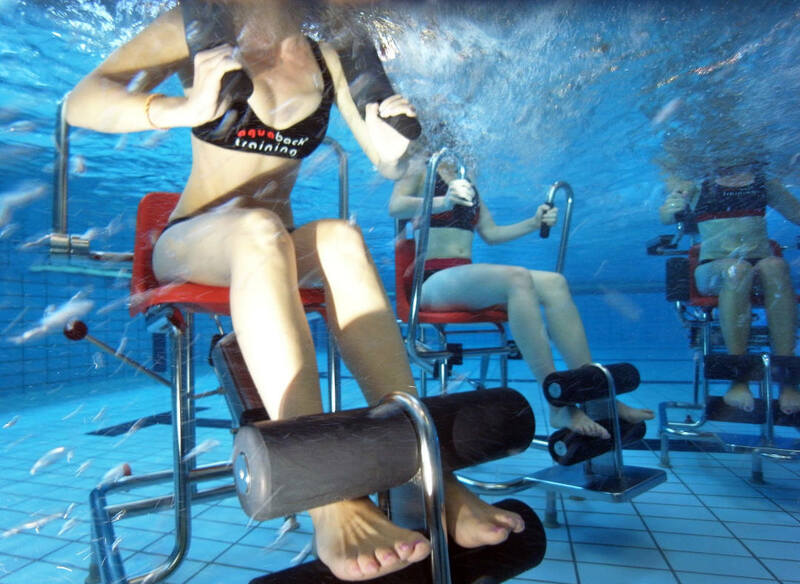 Target of AQUABACK®-training is to train the body effectively and optimally in a gentle way in the element of water. Therefore, the sports scientist Dr. Uwe Schlünz and his team developed an innovative device system for water and a matching training concept. 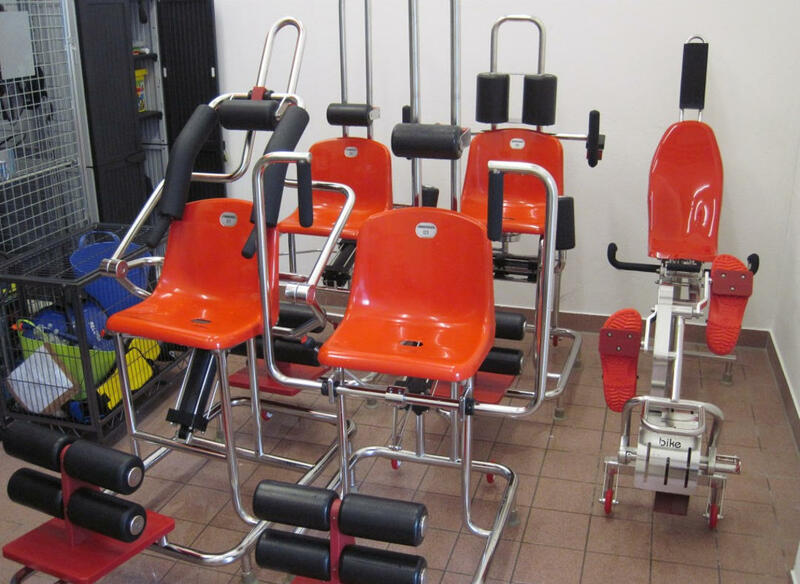 AQUABACK® convinces its customers with high quality equipment and standardized course concepts. gives a better body feeling. „For each muscle the right device; that’s what we stand for“, says CEO Dr. Uwe Schlünz. 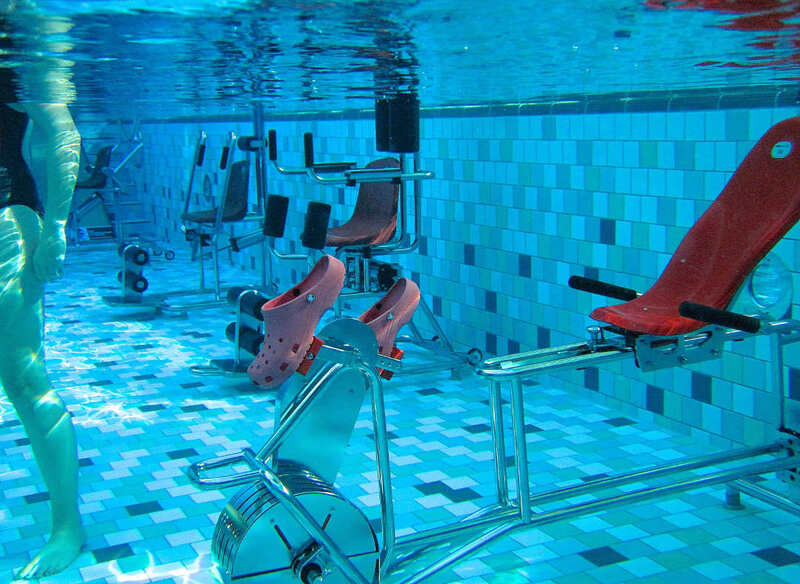 Studies show that the AQUABACK® courses meet the high expectations of customers and improve the offers in the fitness and health market. 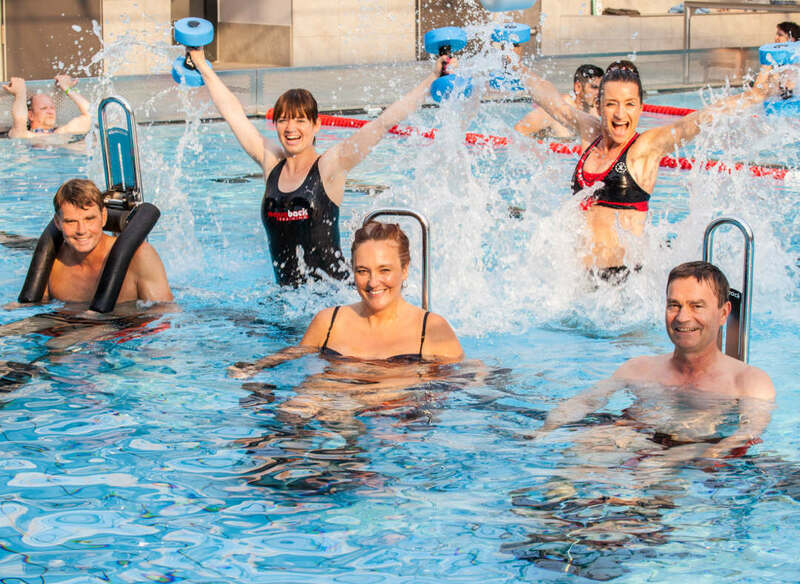 At the circuit training to rousing music and motivating instructors AQUABACK® participants have fun and train all major muscle groups. 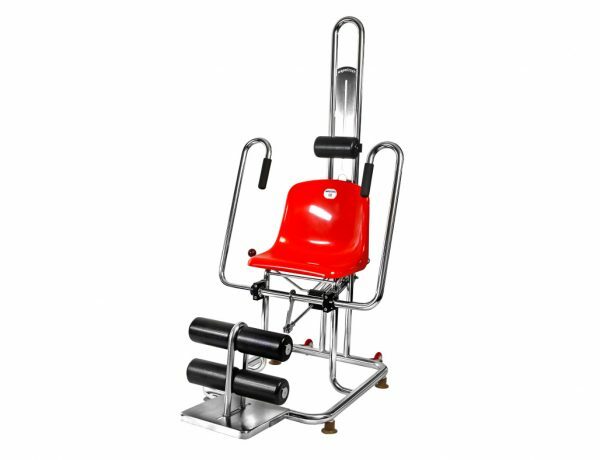 The AQUABACK® devices are equipped with Aqua hydraulic cylinders, so that for each participant the optimum power resistance can be set in three stages. Swimming pools with a water depth of 1.10m to 1.40m and with temperatures between 28 to 34 degrees are particularly suitable. 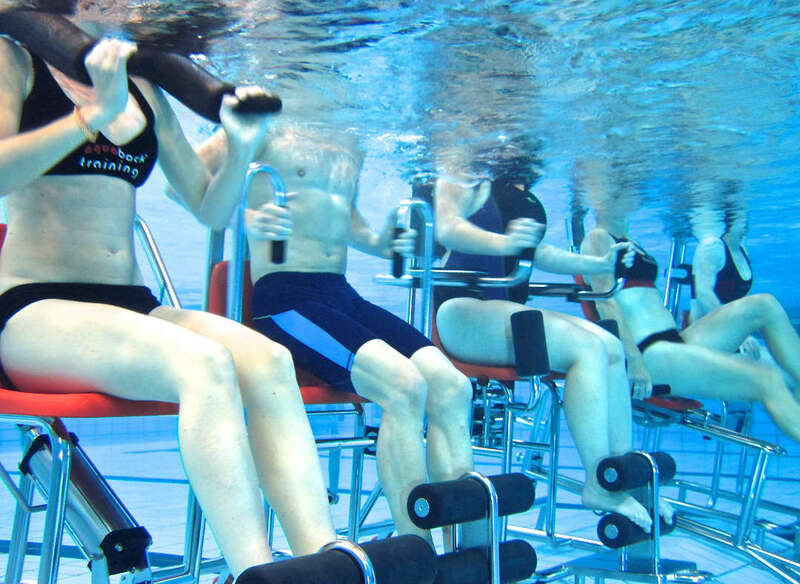 Every AQUABACK® class starts with a 3-minute full-body warm-up, then each station is trained for 3 minutes. 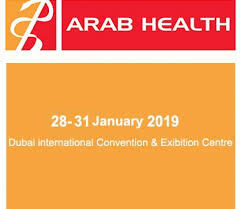 The special AQUABACK® music gives the signal for switching to the next device. The participants complete ten stations: 5 units, 5 intermediate exercises in the exchange and a cool down. 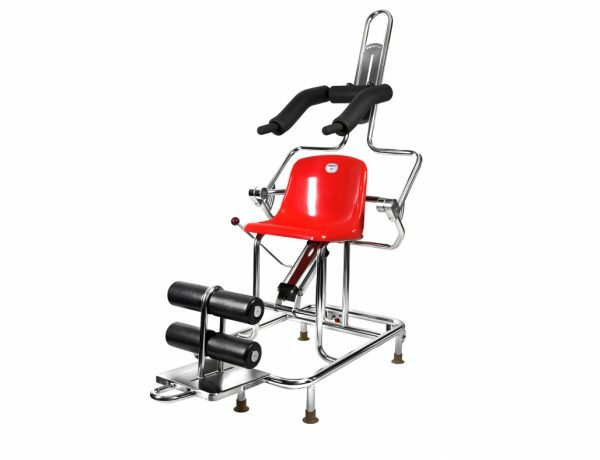 The AQUABACK® trainer is in the water close to the participants and thus can provide a professional, and individual attention. 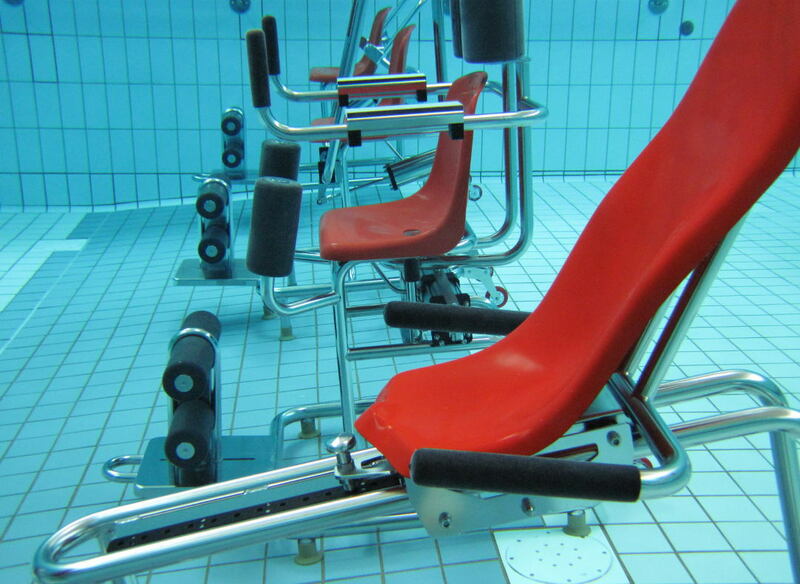 Aquaback succeeds in only 45 minutes an intense total body workout that improves the aspects power, fat burning and coordination. 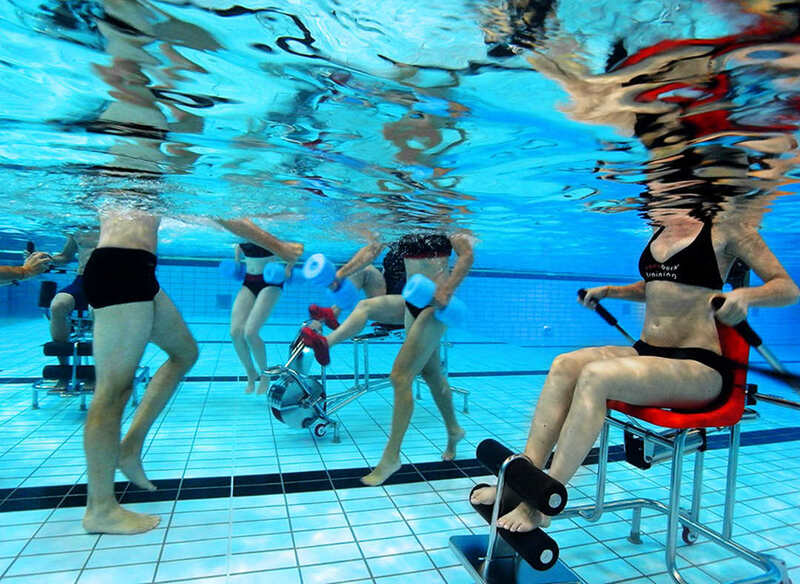 There are also AQUABACK® courses where specific topics for abdominal, -back- or endurance are trained. 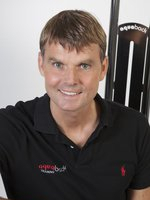 Qualified sports teacher and CEO of aquaback® training. 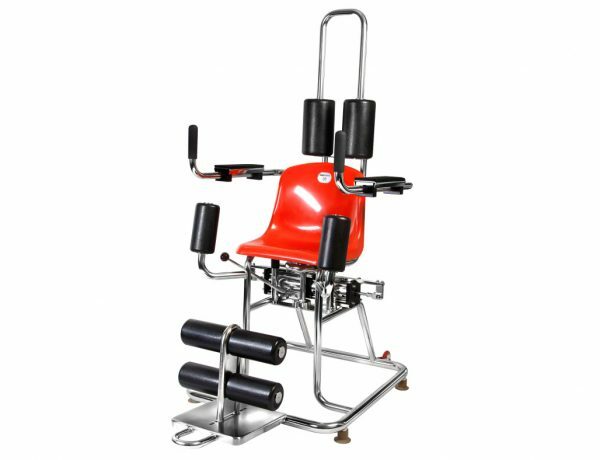 In addition to the training oft he chest-, shoulderand arm muscles, the abdominal muscles are activated to stabilize the posture by the buoyancy. Improvement of strength in the lower torso and optimisation of mobility in the rotation of the upper body. 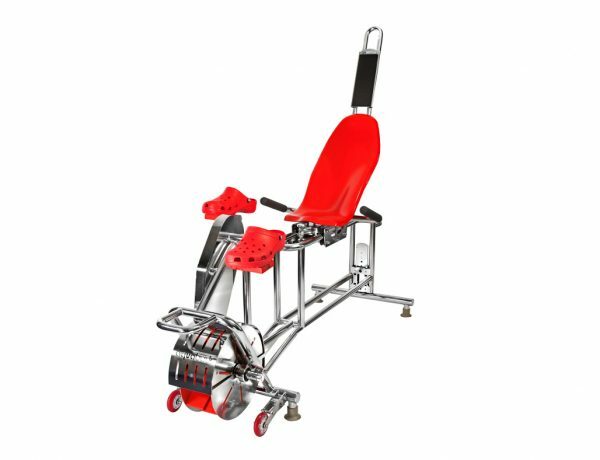 Through the open knee and hip angle the training is particularly gentle on joints and therapeutically high- grade. 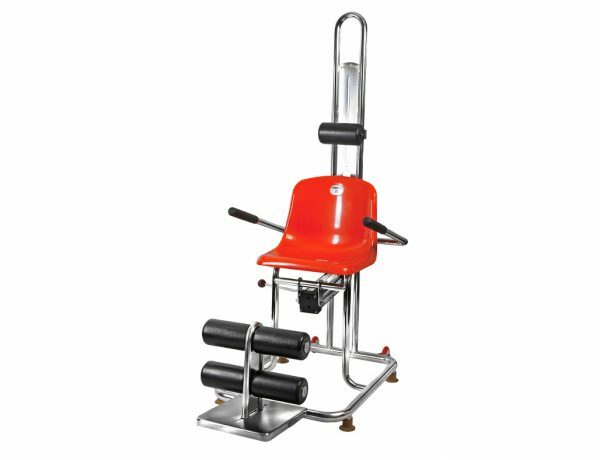 Simultaneous strengthening of biceps, triceps and shoulderblademuscles.